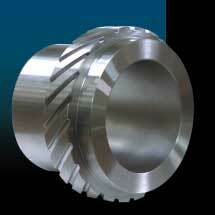 We are a prominent Manufacturer and Supplier offering a comprehensive range of Helical Gear. The entire range is a hallmark of cutting edge technology that is used in the production of Helical Gears. The Helical Gears offered by us are highly demanded in the market and widely appreciated by our clients because of their resistance to wear and tear, durability and long working life.